At Nordic Septic Pumping we inspect your system and service your tanks. We are not in the business to sell you “cleaning products” that don’t work, or to sell you pumps, drainfields or other costly items. When you need your tank pumped, inspected and certified, Nordic Pumping provides professional septic service with quality customer care at an industry low price. Our goal is to provide you with fast, friendly and professional service, at Nordic Pumping, the customer always comes first. With Nordic Septic Pumping you need not be concerned about where the septage is disposed. We are the "GREEN" truck who disposes of all septage at authorized waste treatment plants only! 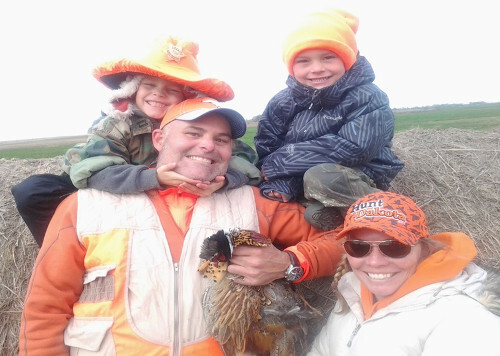 We are the Alexander Family, Tom, Alie, Frank & Ike. We live, play and work in Routt County. 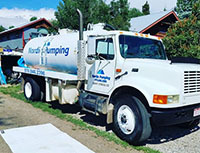 We are proud to be Routt County’s only business that exclusively pumps septic tanks and vaults. We don’t own an excavating or plumbing company that pumps on the side. We are unique in the fact that our expertise is pumping septic for a living. © Copyright Nordic Septic Pumping 2015.